One of the last toy lines created by toy giant Mego in the early 1980s, Eagle Force is back, thanks to toy company Fresh Monkey Fiction and The Drawn Word. The Eagle Force Strikes! 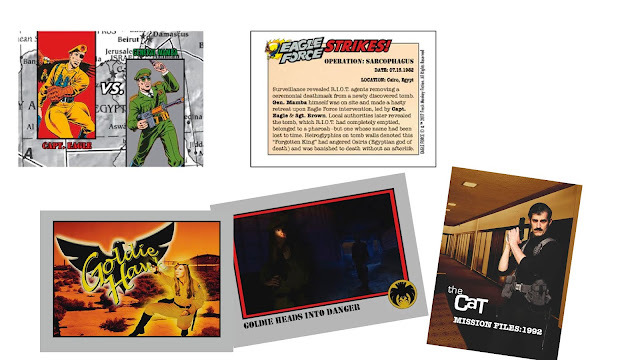 card set details the missions of the 1980s team, while the Goldie Hawk and Cat photo cards reveal newly-classified missions from the 1980s and '90s, respectively, that lead to the rebirth of the nefarious R.I.O.T.! The underpinnings of Eagle Force are revealed in four Eagle Force Pulp novellas starring former cat burglar The Cat! 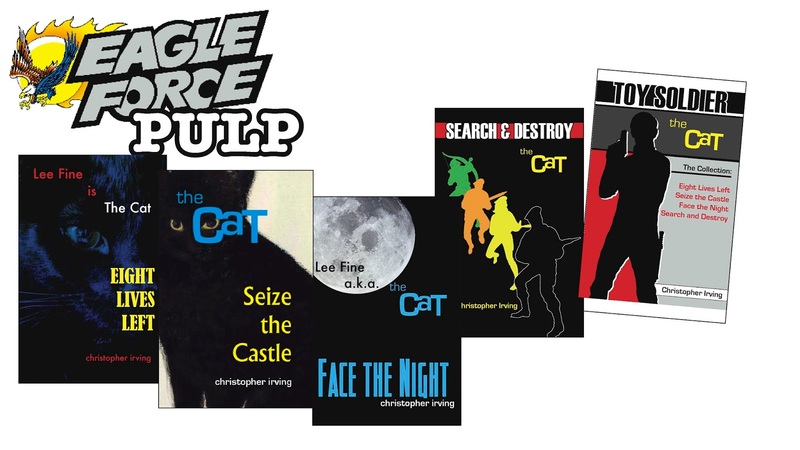 When Lee Fine, aka The Cat, is thrown into a world of espionage and danger, he is forced to become more than he ever dreamed he could. These are the adventures that forge him into becoming the best spy the country will never know. All four pulp novels are now on Amazon for Kindle and e-books. The paperback compilation, Toy Soldier, is available here, personalized and signed by the author, or as a standard edition through Amazon.